A fantastic first week was had by all at our Easter Soccer School with lots of fun including playing football, footgolf, table tennis, pool and hockey. We still have places still available from Tuesday 23rd to Friday 26th (see below) for another week of fun, games, learning new skills and making new friends - plus some inflatables! United In The Community, in partnership with With The Ball, are pleased to announce that during the Easter holidays, Soccer Schools and Multisports Club will once again be taking place at our Central Park facility in Hereford. 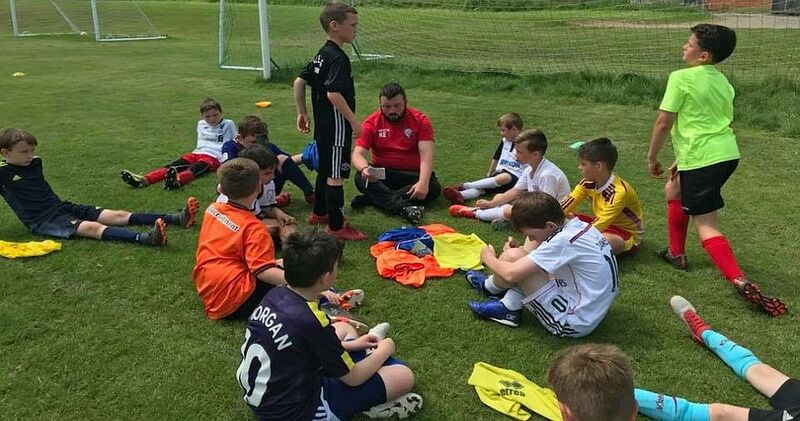 Sessions will be led by Kyle Eaton and he will be assisted by fully qualified coaches who will be delivering fun filled sessions which will take place during the school holidays. The sessions are open to children aged from 5 to 12. Parents now have two options when booking. They can either enrol their child to attend between 8.45 am to 3.00 pm or from 8.45 am to 4.30 pm. Participants will need suitable footwear for grass, outdoor clothing, sun lotion and spare clothes. Children will also have the opportunity to take part in some Crafts, Games and Activities. Breakfast is included for all children who attend - please inform staff of any allergies during the signing up process. Four days will cost £72.00 or £92.00 depending on which option is selected.